The bridge is now coming together. The substructure of the bridge was from basswood again, cut and then stained. 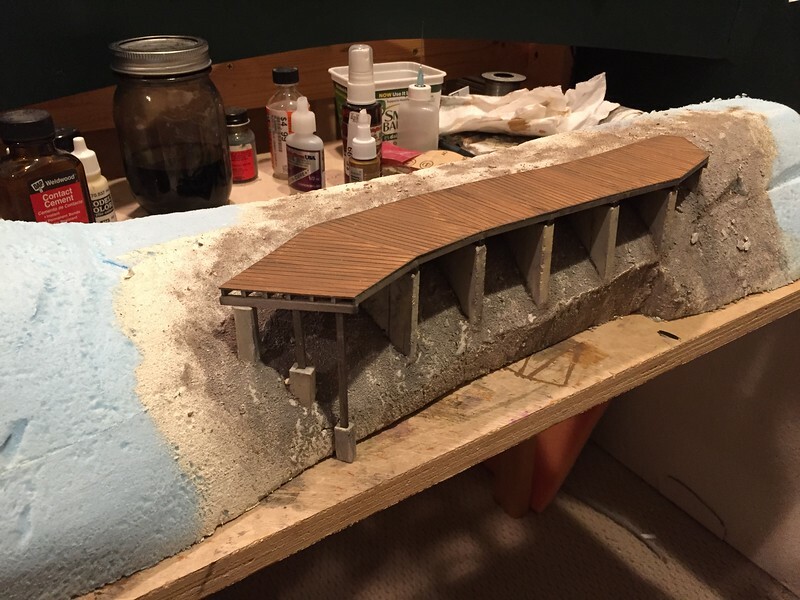 The top of the bridge was made from one large piece of styrene, scribed to show the various wood pieces, and matched to the concrete piles for joints. At this point as well (before the top was down) I white washed the dirt again, to take the tone of the dirt down a little. The period I am modeling is October of 1949, so I wanted to have the area with a little snow.